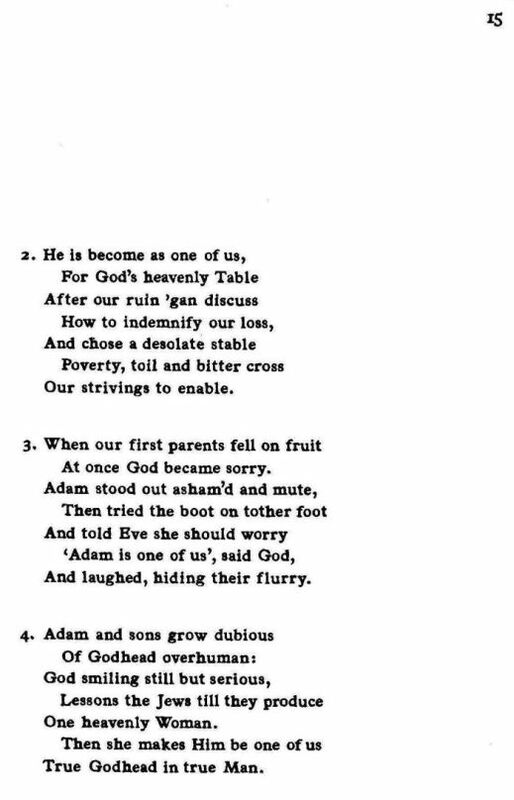 Source: Richard Runciman Terry, Two Hundred Folk Carols (London: Burns Oates & Washbourne Limited, 1933), Carol #64, pp. 14-15. An outcast on the highway. At once God became sorry. And laughed, hiding their flurry. True Godhead in true Men. 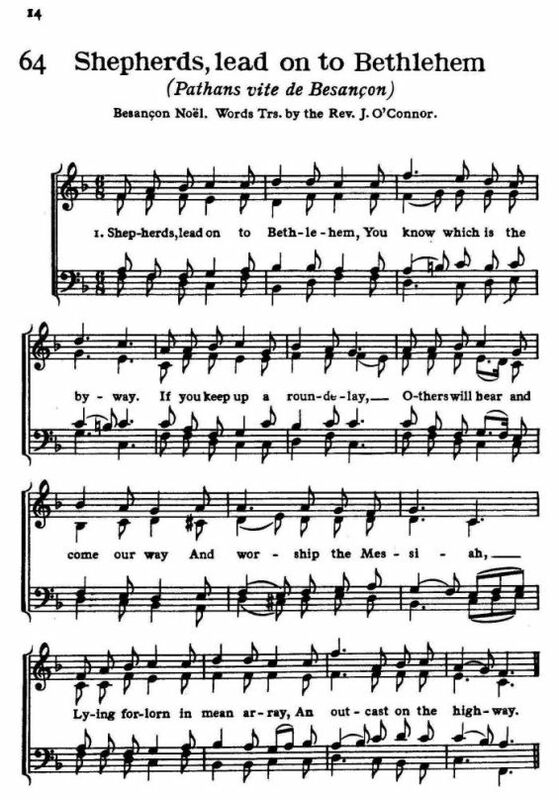 Sheet Music from Richard Runciman Terry, Two Hundred Folk Carols (London: Burns Oates & Washbourne Limited, 1933), Carol #64, pp. 14-15.